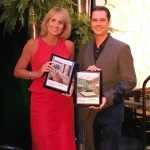 Julie receives awards presented by Elliott Bennett, lead judge for American Hort. It’s yet another win for the team at Plantscapers! Julie Davis Farrow won the Platinum Award for her replica design at The Rey in the Silk, Replica, and Preserved category. The high end apartment-living complex sits in the heart of downtown San Diego. 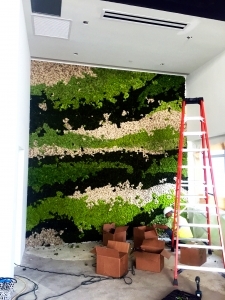 Julie worked directly with CDC Designs on the intricate work for the custom 16’x15’ moss wall. 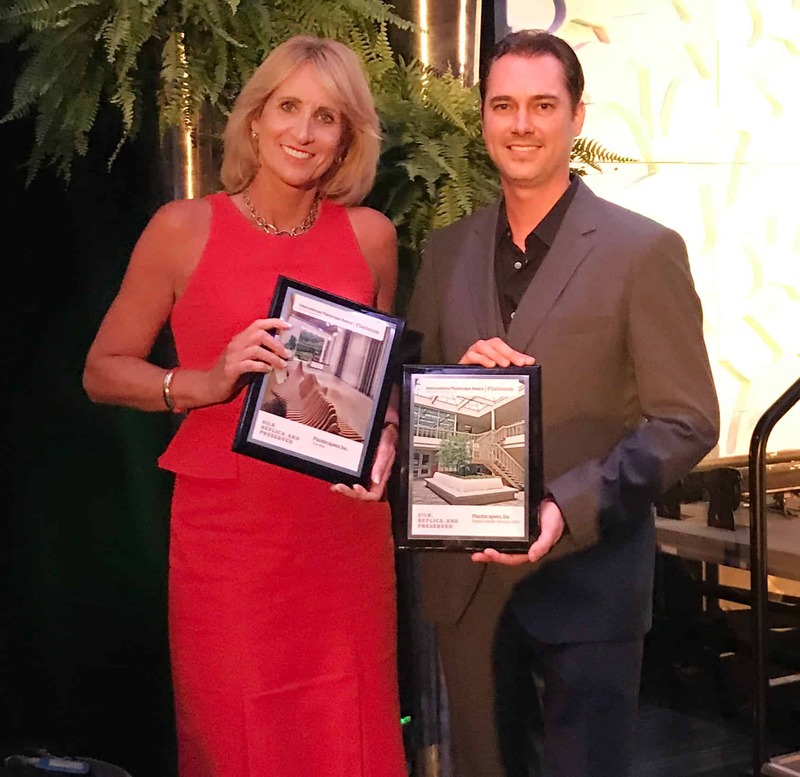 Interior plantscape professionals met at the horticulture industry tradeshow, Cultivate’17, last month in July where American Hort at the International Plantscape Award ceremony presented the awards. Julie, along with Mark Farrow and Jason Cupp, were there to receive the prestigious recognition. 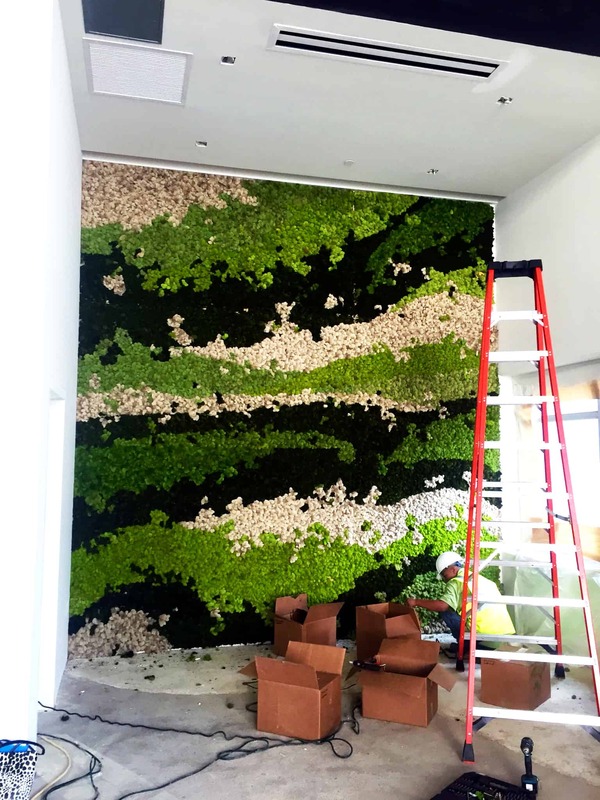 The moss wall is a gorgeous addition to The Rey’s high-end apartment lobby. Moss is individually placed in the appropriate place per the vision of the designers. The objective for the moss design was to follow the curves and design of the floor. 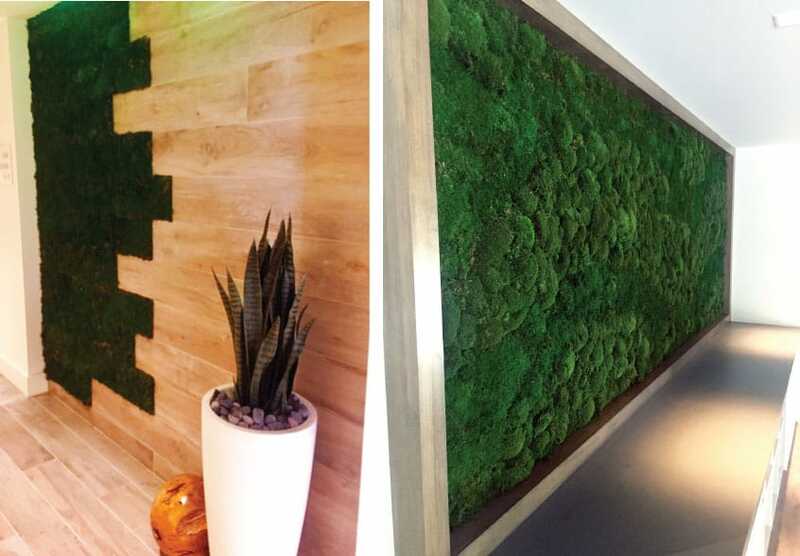 Julie and CDC designer Nadia creatively worked together to build the perfect color palette and design for this magnificent, one of a kind moss wall. 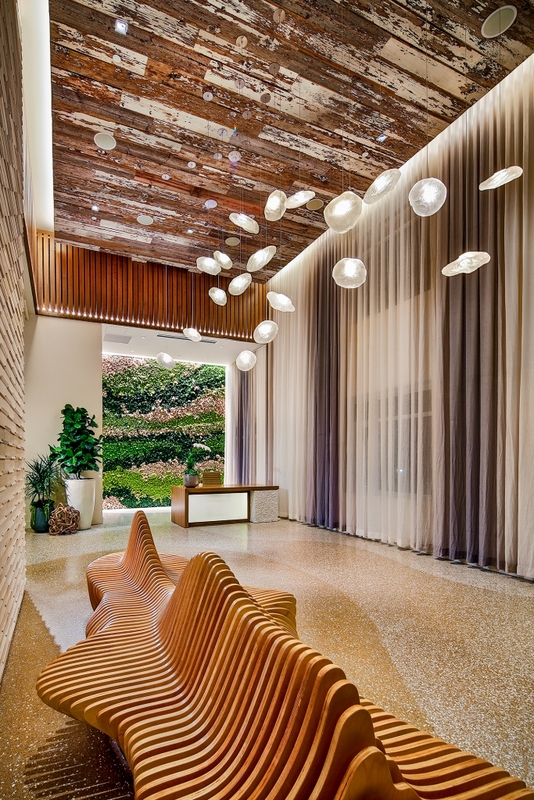 The beautiful design literally transforms the lobby, a huge focal point for the high-end renters living here. The greenery on the wall not only brings a sense of well-being to those passing through, it shows the building owners care about the tenants’ surroundings by making daily living more enjoyable. There were two other custom moss walls installed at this facility. One wall graces the interior at the elevator lobbies (picture bottom left) and is enjoyed by everyone passing by the busy hallway. The second custom moss wall (picture bottom right) is in the upscale gym area. It hangs near the towel rack where everyone can see this stunning piece while exercising. 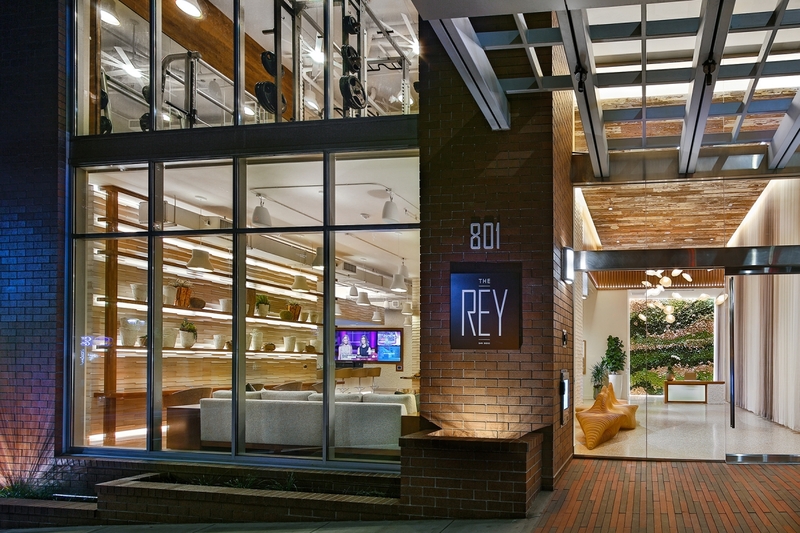 Thank you to CDC for having the fortitude and vision to specify moss walls for the interior of The Rey.